Originally published on July 7, 2015. 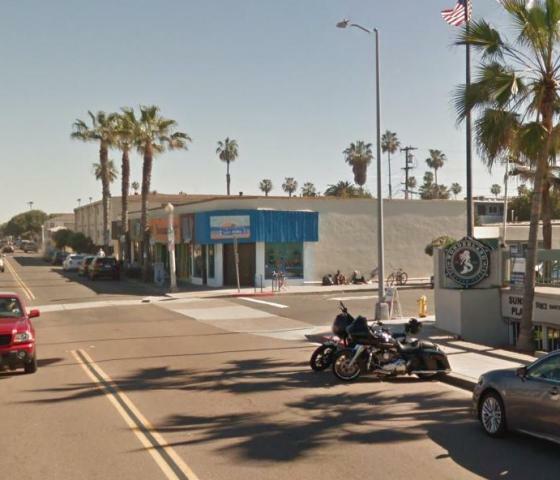 At the most recent Ocean Beach Planning Board meeting last week, Chair John Ambert outlined a number of OB intersections that will have crosswalks and stop signs installed, information released to the OBPB by the City. Five intersections are impacted and affected. The funds for four of them have not yet been identified – only Newport and Abbott improvements are earmarked. The other projects are under review and do not have funding at this time. School kids need a crossing across Point Loma Avenue. 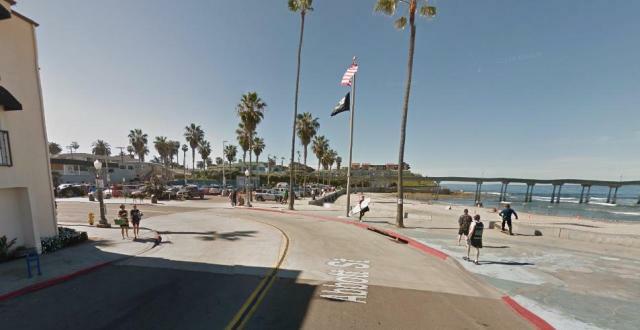 A flashing beacon and crosswalk will be installed across Sunset Cliffs, but it is unclear if it will be on the north or south side of Point Loma Ave.
Aerial view of Newport Ave and Abbott Street. Two crosswalks, with flashing beacons will be installed at this busy intersection. A crosswalk with flashing beacons across Newport Ave.
At this point, the City is NOT planning to put stop signs in, just the crosswalks. Another crosswalk with flashing beacons across Abbott. Only for this intersection at Newport and Abbott has money been identified for the crosswalks. For some reason, crosswalks were never painted across Bacon at this intersection. Only the south leg is planned for now. A crosswalk will be placed across Bacon on the south leg. 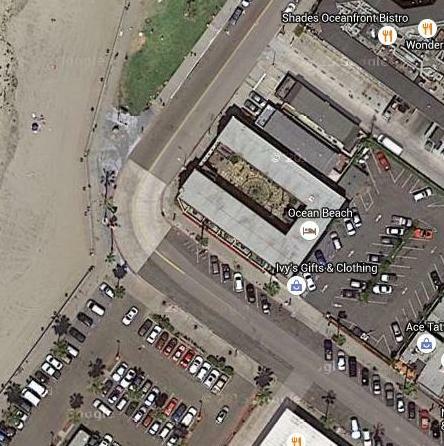 Aerial view of Newport Ave and Bacon Street. Thanks google maps. Note there are crosswalks already across Newport. Bird’s eye view of Abbott and Santa Monica Ave.
Stop signs and crosswalks on Abbott will go in – at some time in the future. A stop sign and crosswalk will be installed across Abbott here, facing south. 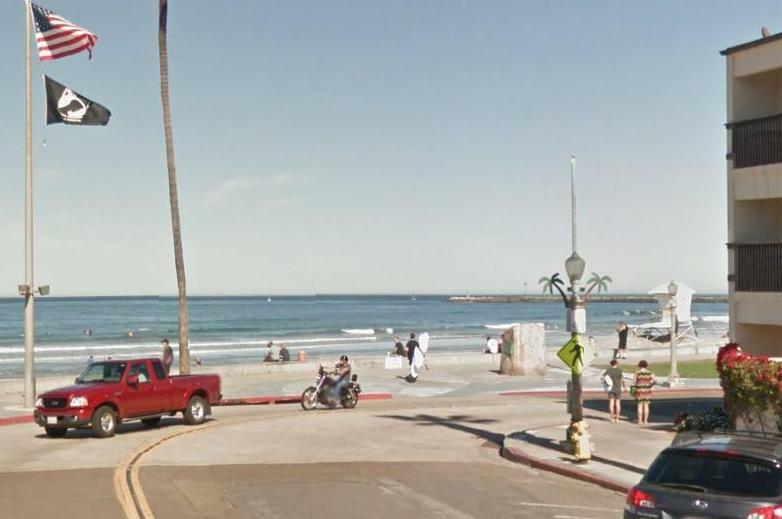 These improvements are for both sides of Abbott, facing south and north, which will slow down traffic, make it easier for pedestrians to cross Abbott, and allow rescue vehicles to exit the life guard parking lot. A stop sign and crosswalk are in the future for this side of the intersection. These improvements were requested by life guards. 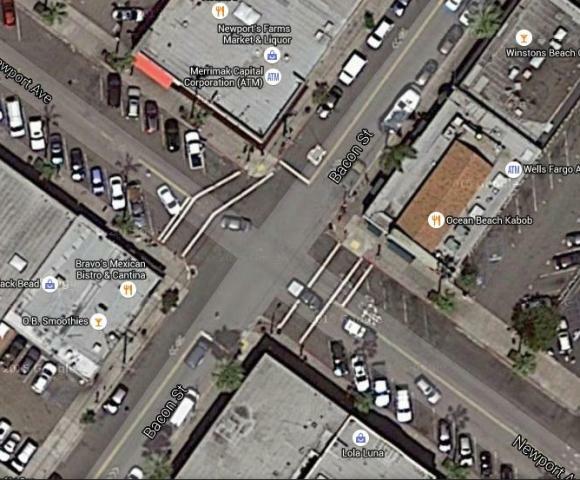 This intersection will have crosswalks on all its legs, but no beacons. i had a chance to witness the crosswalks at voltaire and cable in action for the first time yesterday afternoon. literally no one was stopping at the stop signs, not to mention no one was respecting pedestrians in the crosswalks. it was like watching a comedy sketch. maybe this was attributable to all of the post-charger win yahoos, drunk driving through town. let’s hope so. otherwise these crosswalks might serve no purpose at all! I can’t believe Niagara and Bacon is not on this list. Go sit there and have a beer at one of the new packed restaurants sometime and count how many pedestrians are almost killed or how many accidents almost happen in one hour… Instead the first intersection addressed is a pointless one at Santa Monica and Abbot – crosswalks there are fine but the stop signs are ridiculous (FWIW, I cross there daily with a child in stroller and have never had a problem), except if the only goal is to get Lifeguards in and out of their parking lot quicker, in which case mission accomplished. 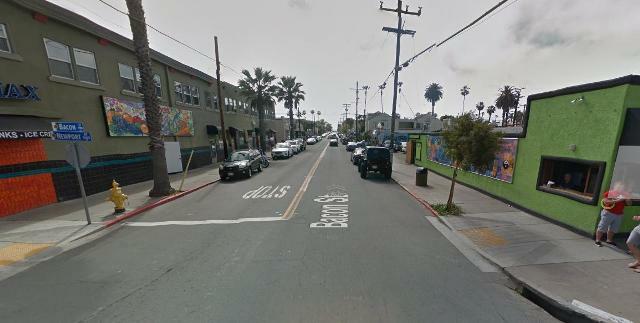 Let’s address the craziness that is the Raglan/NoodleHouse corner. Sorry to bring up an old topic. But, it has been 6+ months. 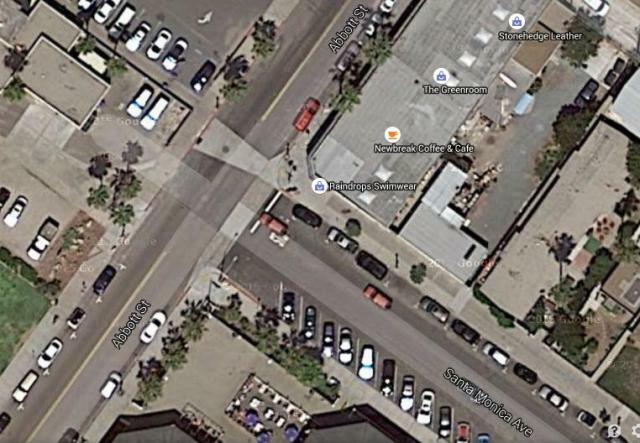 Where is the flashing crosswalk at Point Loma Ave and Sunset Cliffs ?? Or just a crosswalk in general. Or maybe a 3-way stop. Did someone read my reply? Seems like someone did ! A crosswalk has been painted and flashing crosswalk signs have been put up on the South side of the intersection. But, it is not yet active. Will report to the Rag when it is all working.